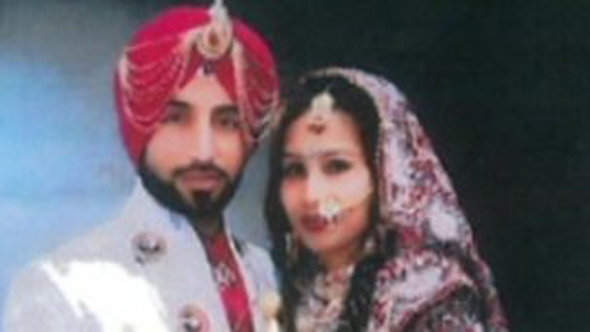 Jasvir Ram Ginday, 29, from Walsall, attacked Varkha Rani at their home with a metal pipe from a vacuum cleaner. He strangled her then burnt her body in a garden incinerator, Wolverhampton Crown Court heard. Judge John Warner told the court Ginday had struggled "being a gay man in a straight world". He told him he would serve a minimum of 21 years in prison. Ginday, of Victory Lane, had flown to attend his arranged wedding to Varkha, 24, from India, at a lavish ceremony attended by up to 700 guests last year. But he had told a friend he was attracted to men as early as 2008, said prosecutor Deborah Gould. West Midlands Police said Ginday was frequenting gay bars and having relationships with men around the time of his engagement to Varkha. In August, six months after the ceremony, Varkha arrived in the UK to join her husband and live together in the matrimonial home. But on 12 September, university graduate and IT specialist Ginday - who had been preparing to take up a job with the Financial Ombudsman Service in London - had a row with his new wife. During the trial, Ginday had alleged his wife had threatened to "expose" him as homosexual to family and friends, after apparently discovering "compromising" material on an iPad and iPhone. He told the jury that his wife had come at him in the bedroom, "thrashing", and he was "trying to calm her down". The pair ended up on the floor, at which point he claimed he grabbed the metal pipe of a vacuum cleaner which was lying nearby and "in the spur of the moment" put it on her neck. Ginday said he then "panicked", dragged his new bride to the patio incinerator and placed her inside using a metal pole. After the killing, the police said Ginday told his relatives Varkha had left him. He went to Walsall Police Station with his uncle and reported her as missing. Officers conducting inquiries in the area were told people had seen smoke emanating from the property. They went into the garden of the home Ginday shared with his parents and found the metal incinerator. When they lifted the lid, they saw a human skull. 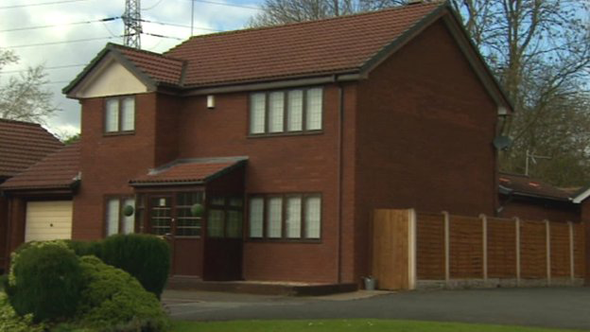 Although he admitted manslaughter and perverting the course of justice, he denied planning to kill his wife. In sentencing Judge John Warner said: "Killing her was a dreadful enough thing to have done, but what followed was horrible almost beyond imagining. "You behaved in an unbelievably casual and callous way, with a complete lack of any humanity. "No-one who was in court to hear that evidence will easily put out of their minds, the image of her body being poked and prodded by you down into that incinerator." Varkha's cousin Sunil Kumar said: "No words can truly express the sadness and hurt my family and I are experiencing at the loss of Varkha. She was loved dearly by all. She had a great passion for life and doted on her family. "Varkha attained a masters degree and was driven to make her life a success. Unfortunately she fell prey to Ginday who had ulterior motives which Varkha would not have appreciated." 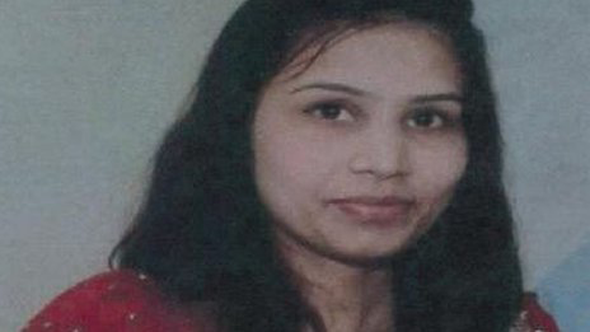 Varkha's family said the 24-year-old was "loved dearly"
Det Ch Insp Sarbjit Johal said: "How Varkha met her death still remains a mystery... but it was clear to the pathologist she was dead when she was put into the incinerator. "Ginday got married as a matter of convenience - he tricked a poor innocent girl into marriage but was living a lie. When she uncovered the truth he could not live with it and killed her quickly then tried to dispose of her body and her possessions by burning them."